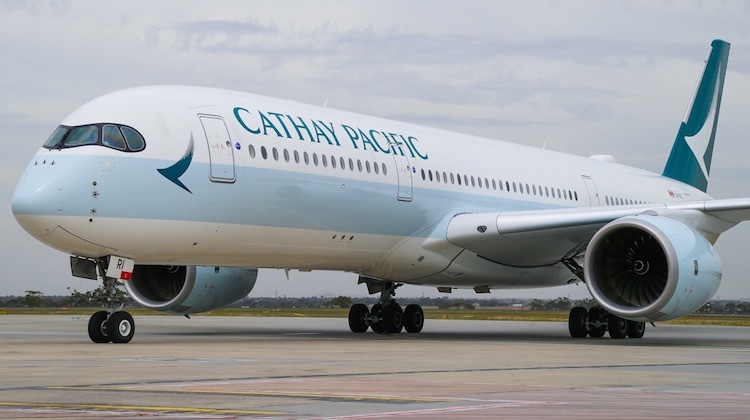 Cathay Pacific plans to start seasonal nonstop flights between Hong Kong and Christchurch over the summer period as part of its existing alliance with Air New Zealand that the two carriers hope to extend until 2022. The new flights were scheduled to operate three times a week with Airbus A350-900s, commencing on December 1 2017 and running until March 1 2018. Currently, the oneworld alliance member flies daily between Hong Kong and Auckland, with a second daily service added from December to February. Air New Zealand also flies to Hong Kong daily. In 2015, the New Zealand government approved an extension of the Cathay-Air New Zealand alliance until October 2019. On Tuesday, Air New Zealand and Cathay said they would extend the partnership until 2022, subject to continuing regulatory approvals. “Through our agreement with Cathay Pacific we have been able to stimulate travel between New Zealand and Hong Kong and importantly grow inbound tourism from this market with visitor numbers up by almost 130 per cent since the alliance was first signed,” Air New Zealand chief strategy, networks and alliances officer Stephen Jones said in a statement. Cathay Pacific director of corporate development and IT Paul Loo said the alliance had provided travellers with more options and more convenient schedules. Under the partnership that first began in 2012, Air NZ and Cathay codeshare on each other’s services between Hong Kong and NZ, while the Kiwi flag carrier also has access to Cathay’s network across North Asia and China. The two airlines also offer reciprocal frequent flyer benefits. In terms of long-haul services, Christchurch Airport currently has year-round flights to Guangzhou on China Southern and Singapore on Singapore Airlines. The airport also has service to Dubai on Emirates via Sydney and Taipei via Melbourne or Sydney with China Airlines. Very exciting for Christchurch. Be nice to see it go all year round. These are the first steps in the process to prove the case. It all adds to the recovery of the city after the earthquakes. Great airline, hands down the most comfortable economy class seating for longhaul. With the A350 this will no doubt prove to be very popular. I imagine that if Qatar come into Christchurch it will be a tag flight from perhaps Perth or Adelaide? Given Air NZ’s Perth -Christchurch service is seasonal I’m not sure Emirates could justify deploying an A380 on to that route…. Perth-Auckland maybe?